Working along side a local developer to construct and tile the full roof with machine made clay tile and fittings. 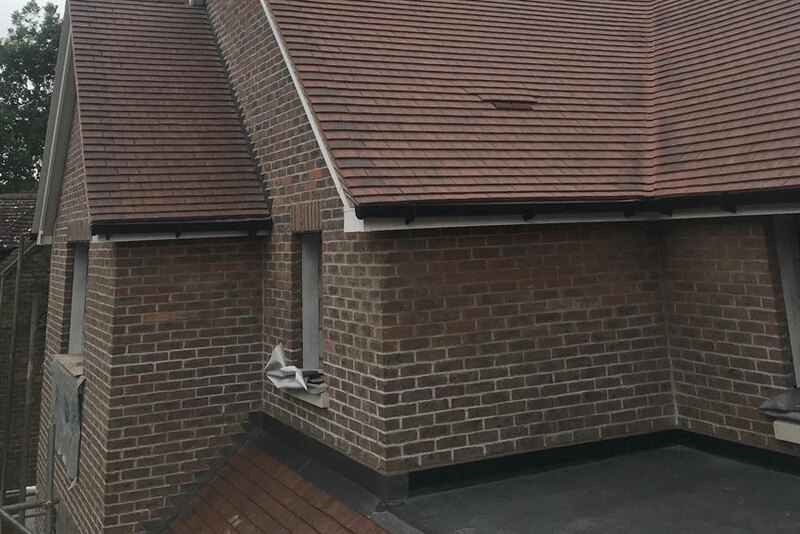 Including a small section with a rubber flat roof. 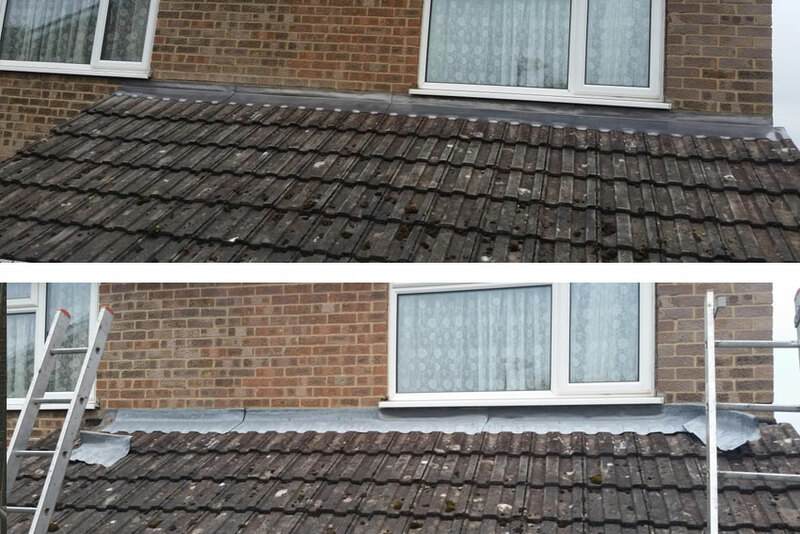 Roof repair work to a domestic customer in Fair Oak, Southampton. Complete renewal of lead flashing stopping any leaks.